Want to travel to Halong Bay even though you are on a tight budget? Don’t worry! There are a lot of low-cost tours to the bay from the local tour operators. But, if you wish to plan a trip on your own, remember that it is never an easy task. You have to search, read and ask for advice before getting started. Whether you are planning a solo trip or a tour, there are lots of things that can make you overwhelmed for sure! The following is how to make a right choice and enjoy memorable budget travel to Halong Bay within 2 days. November is considered the most wonderful time to land on the bay when the sky is clear and blue, the temperature is moderate, the scenery is gorgeous and there’s also a good chance of calm seas. Avoid months between May and September as these are when you can encounter tropical storms without much warning. The peak season usually falls from June to mid-August when the domestic tourism is at its highest. Months from February to April are often drizzly and cool, which make it hard to explore deeply grottoes and islets. But, based on weather and sea conditions, some cruises and tourist boats sometimes must alter their itineraries, or tours may be even cancelled. Many visitors who travel to Halong Bay usually go for a midrange or budget 2-day cruise tour. However, when it comes to cost and value for money, there is a huge range. If purse strings seem to be tight, then it’s better to select a 2-day cruise with a mid-range operator for comfort, facilities and safety considerations. On a whole, budget cruise prices tend to start from a rock-bottom $60 per person for a one-day trip. Try to book a tour where plenty freebies are added into the itinerary, like private minibus transfers from Hanoi and kayaking. This helps you save a lot of money! In general, most of the decent midrange tours often provide tourists with the services of “free kayaking.” Paddling around the caves and grottos enables guests to learn more about their histories as well as marvel at their grand beauty. For those who are keen on a more adventurous trip, then booking a 1-night on boat or 1-night on island package is a good idea. That way, they are able to do some trekking and kayaking in a totally different bay. In case you wish to enjoy a more relaxing trip, let’s opt for a 2-night tour on the boat. At that time, many cool activities are included on the cruise for you to indulge to, such as taking Tai-chi exercise, immersing in Spa treatment, relishing a BBQ party, etc. When traveling alone, you should be highly careful of single supplement fee. It is worth noting that most of the cruises to Halong Bay do not usually offer single cabin or single room for solo guests, except for Dragon Legend Cruise. If you successfully choose a single cabin to stay, then prepare to remember that such cabin could be smaller than a double one. But, this option can cost you a lot. However, a solo journey is a good way to make new friends. Don’t forget to take part in a team or a group of other young tourists and have fun together. In that case, you are able to share the single room/cabin on board with other guests of the same gender. Hence, it is possible to save much more money for an overnight cruise on the bay. Before booking a cruise, you should save some useful tips for traveling in Halong Bay about weather, preparation and sight seeing. 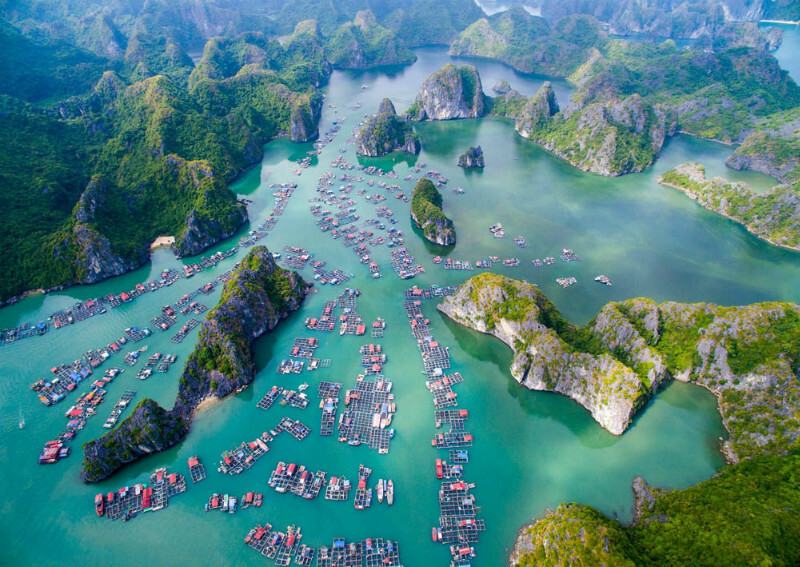 In general, the whole area of the bay may be divided into 3 main parts, namely the central Halong bay, Lan Ha bay close to Cat Ba Island, and western Bai Tu Long bay. Of course, all of them possess the same glamour of natural lime stones and karts. Central Halong bay has long been a popular tourist spot while Bai Tu Long bay remains a less-visited destination. In fact, dynamic travelers who fall in love with a funny cruise with a party have a tendency to opt for Halong bay’s central. Meanwhile, for those who adventurously wish to discover the deep layers and mysteries of the bay or those who simply want a tranquil place to relax and stay away from the hustle and bustle city, then heading towards Bai Tu Long bay is a perfect choice. There are many types of cruises which are designed to meet everyone’s preferences, whether it is romantic, relaxing, active, or party. Normally, a solo visitor has a tendency to take the lower budget cruises whilst honeymooners, couples, and those who seek for peace and quietness will be fond of the private and expensive ones. For certain, consult other people and search for information carefully if you don’t want to book the wrong type of cruise and need to pay more than your budget. Ask the travel consultant for the hotels and boats that you will stay. Keep in mind that the prices may change, depending on the accommodation standards. 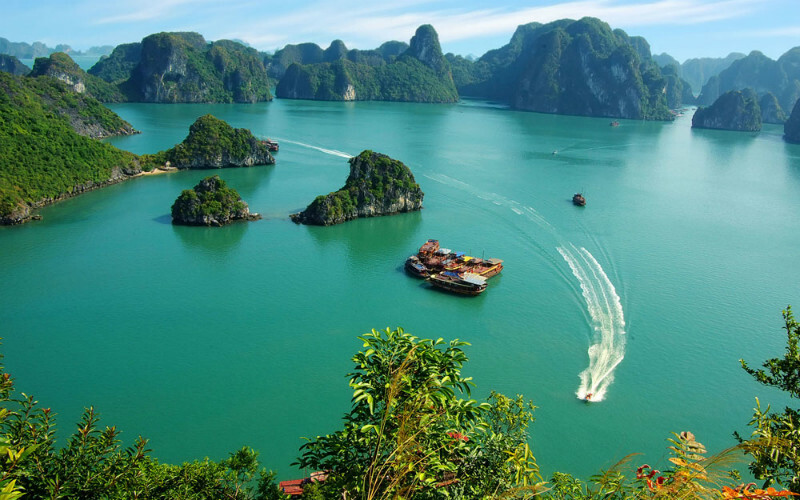 Inspire yourself with more wonderful things to do in Halong Bay with very affordable costs!